In this web you will find all the necessary information to plan your trip to Cuba, a true paradise in the heart of the Caribbean. Find out more about this truly unique country, its culture and tourism. Plan your trip using our renowned guide and save money by comparing our amazing deals for hotels, flights, car renting, and other services. 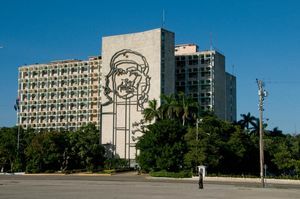 Building with the face of El Che, Havana. Cuba is one of the most important touristic destinations in the Caribbean. However, this is a unique spot since it does not only offer sun-and-beach tourism, but many other attractions about its history, culture, perfect weather, architectural and artistic heritage, etc. Thus, it is one of the most diverse destinations in the whole world. What should I know about tourism and my vacations in Cuba? 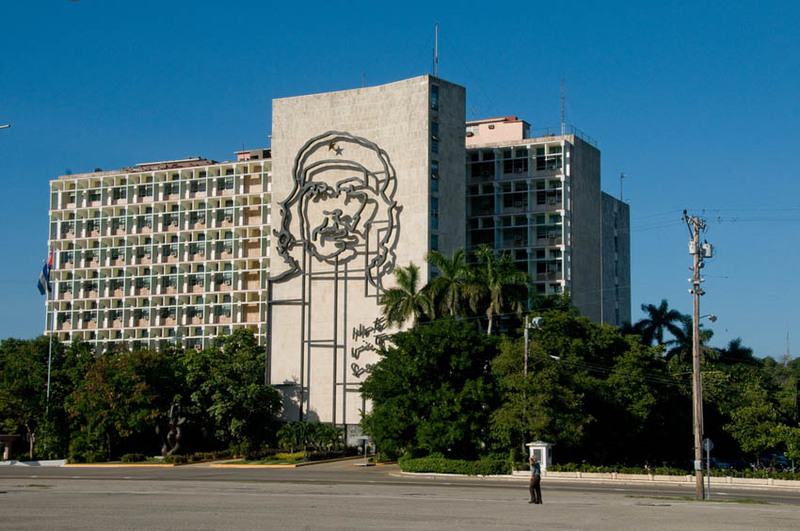 Learn more about tourism in Cuba and its main cities, towns, and regions for your vacations. What information should I know before going on my trip? In this section you will find the most comfortable and common ways of getting to Cuba, as well as information for specific countries. Means of Transportation and how to travel around in Cuba. Learn more about the main means of transport in Cuba and what are the best and not -so-good ones. Also, why not exploring our alternative ways to travel around? What shouldn’t I miss during my trip? 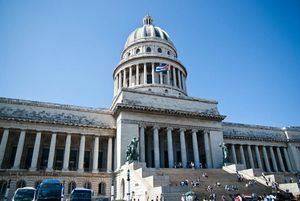 Find out more about the vast cultural and leisure offer of Cuba. Cuba is a country full of interesting towns and destinations, some of them worldwide known, such as La Habana or Varadero, whereas other are hardly known for many. Beaches are the sublime spots in Cuba. The best tend to be in the northern coast, with paradise like cays; and the rest are part of resorts. The island also features several virgin and isolated beaches, perfect for more intimate moments with the amazing landscape. Some of the cities boast a unique nightlife. Find out more about the most lively spots of the city and the best leisure offers.